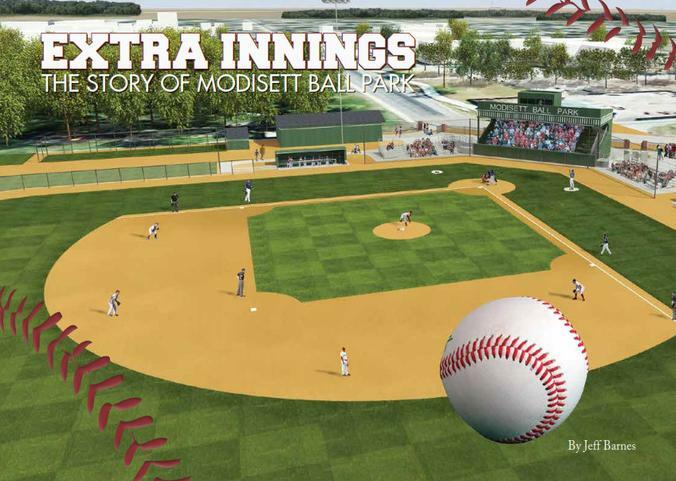 The new history of baseball in Rushville and the town’s remarkable Modisett Ballpark is now available! Extra Innings: The Story of Modisett Ball Park tells the tale of the early days of baseball in the Rushville community, the bachelor ranchers brothers Albert and Mayre Modisett and their gifts to the town, the establishment of the famous Rushville Baseball School, and the community’s rally to restore the historic ball park. Written by Nebraska historian Jeff Barnes, the full-color book is available in paperback for $9.95 or hardcover for $15.95. They are on sale in Rushville at Hinn’s Hardware and soon at the Nebraska State Historical Society Landmark gift shop at the state capitol in Lincoln (watch for future retail locations). You may also order the book directly from the Carmen and John Gottschalk Foundation, 533 N. 86th St., Omaha, NE 68114. Please add $2 for shipping. What’s Included in the Ball Park’s Restoration? A new grandstand with ADA access and a seating capacity of 450. Bleacher extensions raise capacity to 1,000. New below-grade dugouts will replace the originals on both sides of the field. New bullpens will be added to each side of the field. A new concession area and storage area under the grandstand. New men’s and women’s restrooms. Extra Innings author Jeff Barnes is speaking across the state on Modisett Ball Park through Humanities Nebraska! 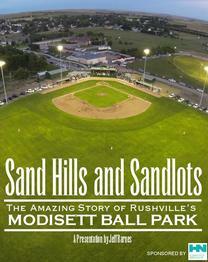 The presentation - "Sand Hills and Sandlots: The Amazing Story of Modisett Ball Park" - can be booked with Humanities Nebraska or contact Jeff at (402) 571-1349. 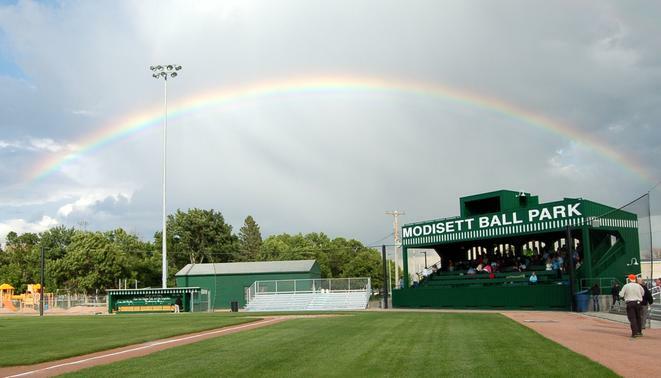 Coming soon: Our updated website including the final cut of the documentary video "Modisett Ball Park, A New Era". Carmen and John Gottschalk Foundation. All Rights Reserved.